Even though I only just started my 6 x 6 plan I am already full of updates on how it’s been going for me and what I’ve learned so far. Diversity is a big part of my plan so I thought now would be a great time to talk about a new style of yoga I had the opportunity to try out earlier this month. It was called mysore yoga and it was a new-to-me practice that is actually the traditional way of learning Ashtanga yoga. Instruction is given on a person by person basis by an instructor who works with your level of strength and flexibility. You move through the poses in a set series that you learn in short pieces and memorize as you go, building on as you get stronger and more comfortable. The studio I practiced in was run like the pop-up shops that seem to be taking over our city, only open for a single month but tempting us with the potential for permanence down the line. The instructor David was everything you could ask for in a yoga teacher. Adorable, approachable and incredibly picky. Every breath I took and movement I made was under his watchful eye and while he wasn’t shy about corrections, never once did I feel uncomfortable or judged. I felt safe and confident, unlike those busy, intense flow yoga classes where my movements go unnoticed and I know that if I was injured no one would come out of upward dog long enough to notice. 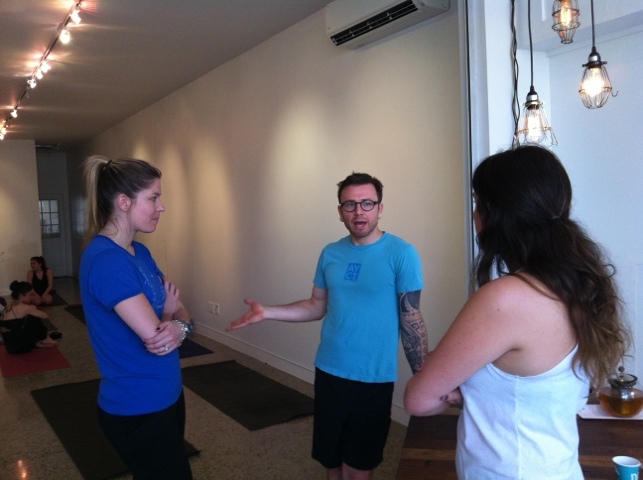 While the pop-up was short lived, it is well worth the trek north to check out Ashtanga Yoga Centre in Toronto. If you live in another city, try switching up your standard practice and giving mysore a try! Do you stick to one kind of yoga or do you like to switch it up? I’m interested to hear which styles people prefer and why! 2) When you fuel am active lifestyle but dont have a lot of time, simplicity is key. Sometimes I get in the habit of only posting or talking about my food when I have had the time to carefully prepare it but since so many of my meals lately are eaten on-the-go I figured it was about time I posted about those too. 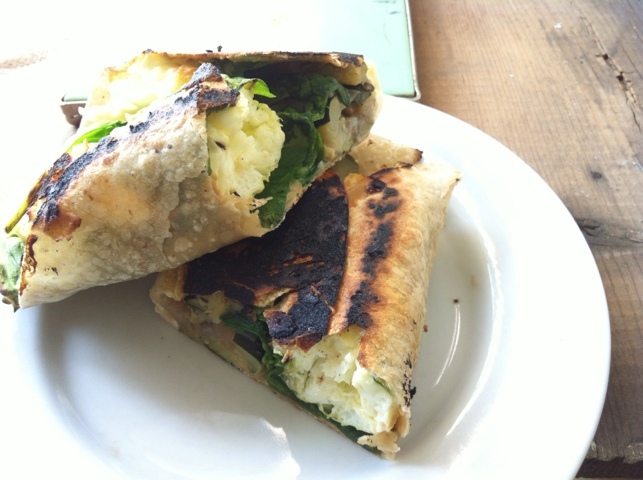 For example, this simple egg wrap doesn’t dirty a single pan and comes together in about 5 minutes. Lately I have been enjoying it for breakfast, lunch or dinner almost every day of the week. Pour eggs into a microwave safe container and cook at 80% power for 3-4 mins. Layer cheese or veganaise, dijon and avocado first. Top with cooked egg and spinach plus cooked veggies if using. 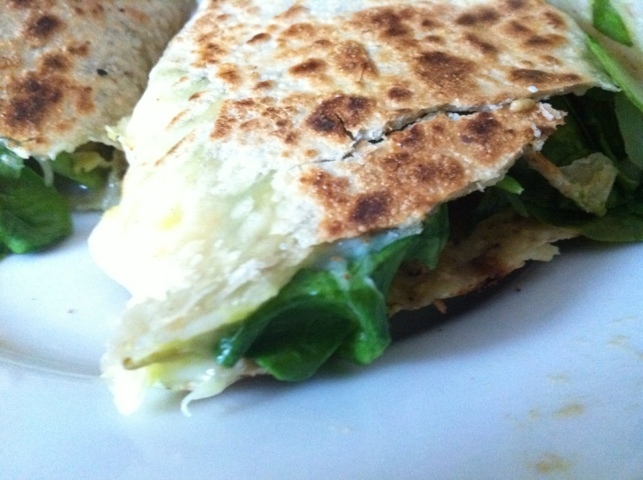 Wrap and place on a heated grill pan or skillet for about 2-3 minutes per side. Slice in half and serve. What’s your go-to five minute meal? Most of my yoga practice is done through classes from yogadownload.com. I currently have their yoga for runners class, and love it! That class, and most of the others I have downloaded have been vinyasa style.